Having bought the 16-storey cargo consolidation complex from Australian industrial developer Goodman for HK$1.38 billion in late 2015, after it had already been converted into a data centre, the Hong Kong-based equity firm resold the asset to veteran local investor Loh Shou-nin for HK$2 billion in late June, according to an account today in the Hong Kong Economic Times. The per square-foot price of HK$7,513 set a record for an industrial building in the district, and provided PAG — which also has a 37.33 percent stake in brokerage Cushman & Wakefield in the run-up to this week’s NYSE IPO — with a return of HK$600 million, or 43 percent in about two and a half years. The 266,200 square foot data centre at 43 Container Port Road is currently leased to Hong Kong telecom operator PCCW, with brokerage CBRE said to have represented PAG in the disposal. 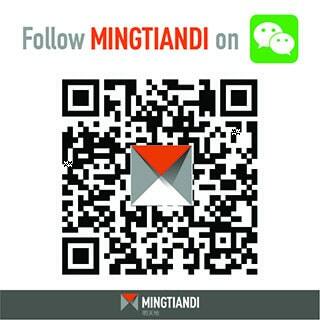 Inquiries by Mingtiandi to PAG went unanswered at the time of publication. The sale of the Cargo Consolidation Complex gives PAG its fourth transaction involving a current or former industrial asset in the city within the last 18 months. Also in Kwai Chung, a joint venture between PAG and Hong Kong-listed Hanison Construction sold a 29-storey industrial building to local investor Tang Shing-bor for HK$1.04 billion last December, making a profit of HK$30 million after the asset in February of the same year. Soon after the sale, PAG returned to buying mode, winning a 50 percent stake in the PeakCastle office building in Cheung Sha Wan for HK$800 million in February 2018. The structure, originally an industrial building, was converted for commercial use by its former owner Hanison Construction in 2017. Demand for industrial buildings in Kwai Chung is strong with constant limited supply, according to Thomas Lam, head of valuation and consultancy at Knight Frank in Hong Kong. “I am quite positive on industrial property market in Hong Kong due to the imbalance between demand and supply,” Lam told Mingtiandi. With the completion of the Hong Kong-Zhuhai-Macau Bridge, which is scheduled to begin operations in the second half of the year, he believes the future demand for logistic centres in the city will rise. PAG’s newly confirmed sale makes June one of the busiest months for Hong Kong industrial deals so far this year. In addition the Cargo Consolidation Complex disposal, earlier in the same month veteran investor Tang, nicknamed Uncle Bor, bought the Brilliant Cold Storage building on Wing Yip Street for around HK$1.6 billion. The following week, Hong Kong-listed developer China Aoyuan Property Group bought Lot 46, a newly-redeveloped commercial project on Kwok Shui Road for HK$950 million.